While our young minds hardly grasped the nuances of the Trinity (a doctrine challenging enough for adults), we did recognize that Jesus was special and deserving of worship. Jesus backs up his claims with testimony from “another who bears witness about me” (John 5:32)—God himself. God the Father testifies of his Son in three humanly accessible ways, each weightier than the last. Greater than this “burning and shining lamp,” says Jesus, are “the works that the Father has given me to accomplish, the very works that I am doing” (John 5:35–36). The healing of the invalid man and Jesus’ many other miracles were signs of the inbreaking Kingdom of God and, as Short explains, show what salvation is about. Most powerful of all is the centuries-long witness of the Scriptures, through which God reaches down to humanity. Sadly, like Jesus’ accusers back then, we Christians today are tempted to “search the Scriptures” merely to stockpile knowledge or to prove how righteous we are. A similar danger lurks behind our Lenten traditions of denial and discipline. In a performance-oriented culture magnified by social media’s “likes”-based reward system, even within the church people strive to “receive glory from one another and do not seek the glory that comes from the only God” (John 5:44). Rather than find our identity in praise from other humans, Jesus offers us a better way: “come to me that you may have life” (John 5:40). We cannot earn God’s approval; we simply need to accept it. With joyful relief we can pursue our Lenten practices to draw nearer to Jesus and deepen our hold on the new identity he has given us. The Jesus we encounter in John 5 is not a self-representing defense attorney trying to one-up his accusers. Instead, he is a divine savior using tough love to invite them to find their true identity in him. 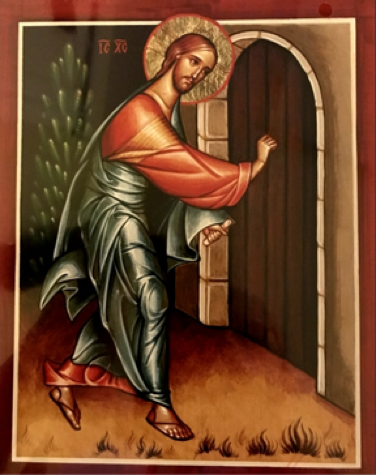 Jesus is standing and knocking at your door with this same invitation. How will you respond? Jarrett Cohen is a native New Yorker who has come to love Washington, DC, even some of its sports teams. When not working as a science communicator, he enjoys singing in choirs, reading and discussing theology, and avidly watching tennis and Australian Rules Football.